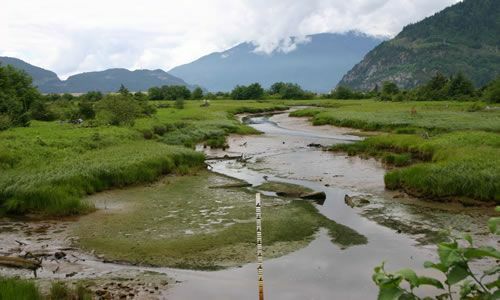 Detailed Description: The Squamish Estuary Walking Trails explore the mudflats, marshes, wetlands, tidal channels, rivers, meadows and forests in the backyard of Squamish Village. The trail system accesses different points on the estuary via boardwalk, hard-packed earth and exposed root and seasonal mud walking paths. It is really, only until the Second Loop Trail that it gets real muddy and some bushwhacking might be required. The wetlands are created by the fresh water of the rivers entering into the salt water of ocean. The waterways interacting creates fresh water and salt water eco systems coexisting and changing with each tide. A natural environment ideal for many migratory birds and salmon. 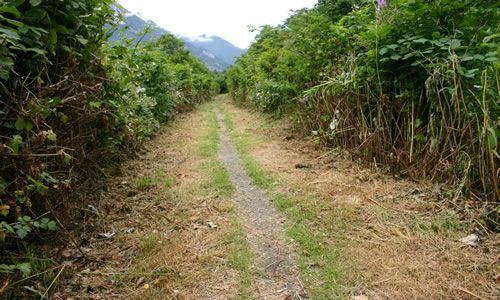 The trail system starts within the Village of Squamish. Most explorers start the hike from the corner of Vancouver Street and Second Avenue. This access point is the same trailhead for the Waterfront Trail and the Nexan Beach Trail. From here it is only a 10 - 15 minute walk until you reach the beginning of the estuary. The trail starts along a dyke following Cattermole Creek. The brush shouldering the path is sometimes almost 10 feet tall and groomed back forming a tunnel like sensation. A unique driftwood bench is located in this portion of the trail. Continue on and the trail crosses some railroad tracks and wanders into the forests leading to the estuary. 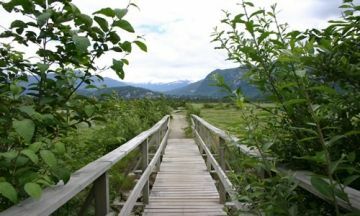 The Squamish Estuary is a prime destination for avid birdwatchers. There are viewing areas and benches located along the trail providing scenic views of marshes and wildlife like Blue Herons, Bald Eagles, Green-winged Teals, Golden-crowned Kinglets and more. Many estuary views include a view of the towering Stawamus Chief looming in the background and the thundering Shannon Falls crashing to the ground. Another trailhead leading out to the estuary is found when driving the gravel backroad leading to The Spit . After viewing the estuary from this entrance, hop back in your vehicle and continue to the end of the gravel road and you will see the many kite surfing and wind surfing enthusiasts enjoying the high winds funneling into the valley. 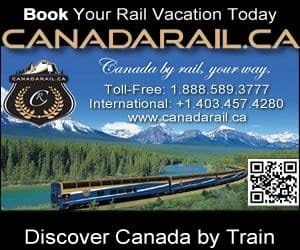 How to Get Here: The main access point is located near the corner of Vancouver Street and Second Avenue on the south end of Squamish, British Columbia, Canada. There are signposts marking the trailhead. The Waterfront, Nexan Beach and Estuary trails all start from the same location. Another trailhead is located just before the yellow gate and the white post on the gravel road leading to The Spit. Parking is limited. Another trailhead is at the end of Fifth Ave.